Mudita represents clients in all aspects of family and matrimonial law. She has significant experience settling and litigating disputed cases before both the trial and appellate courts. Mudita is an assertive and compassionate advocate who fights relentlessly for her clients. She is known for helping clients navigate through the divorce process and understand how the legal system works. Mudita listens to her clients’ concerns and crafts legal strategies with them which will realize their goals. She is a skilled negotiator who recognizes that often times her clients’ needs are best met through settlement. At other times, when it is in her clients’ best interests, she will zealously litigate their cases, making their goals her highest priority. Mudita’s tenacity and attention to detail are assets that her clients find invaluable. Mudita is a member of American Bar Association (Family Law Section); the New York Bar Association (Family Law Section); the New York County Lawyers Association (Family Law Section); and the New York Women’s Bar Association; the Women’s Bar Association of the State of New York. She serves as a member of Sanctuary for Families’. Mudita has been recognized as Woman of the Year 2013-2014 by The National Association of Professional Women, and has been a member of NAPW since 2012. Mudita is a faculty member of the American Bar Association, Commission on Domestic & Sexual Violence and has been a guest lecturer at The Annual Fordham Forum on Domestic Violence. She has appeared in the Daily News and also appeared as a guest expert on the Star Jones Show on Court TV. Prior to joining Chemtob Moss Forman Beyda, LLP, Mudita was a staff attorney at Sanctuary for Families. Mudita is fluent in Hindi and proficient in French. 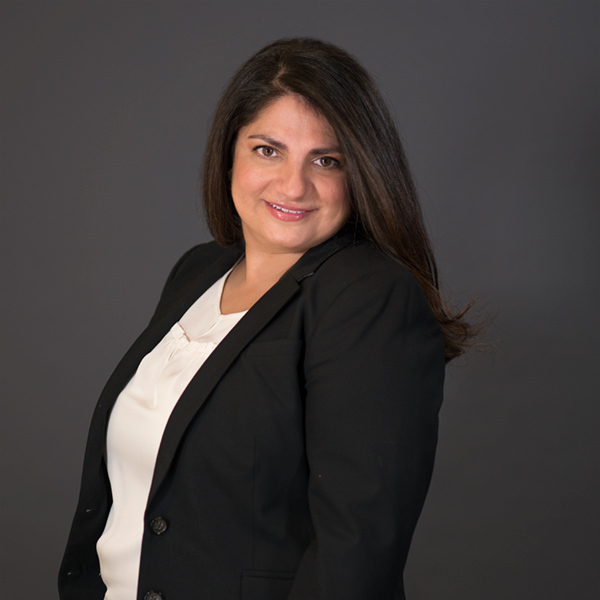 Licensed to practice in Illinois in addition to New York, Mudita received her law degree from University of Illinois, College of Law in 1997. She earned a Masters degree in English in 1998 from University of Illinois, and her undergraduate degree from Bentley College in 1993.